Don’t tell my kids, but this Thai spice blend might become my new go-to blend. My “taco seasoning”. I used it on my Thai Roasted Sweet Potatoes with Coconut and Lime and my Thai Shrimp and Veggie Skillet and both were so, SO good. The girls are still warming up to it (read=they hate everything I put it on), but I have high hopes. It’s so good that I’m willing to subject myself to dinnertime whining in order to win them over. Or Steve and I will have a lot of Thai dinner dates. That’s not such a bad idea, either. I used Spicely’s Thai spice blend on some roasted sweet potatoes I made for a small catering job last year (that post coming soon!) and I decided to make my own blend. I used it yesterday on some grilled fish and those same sweet potatoes I mentioned up there. 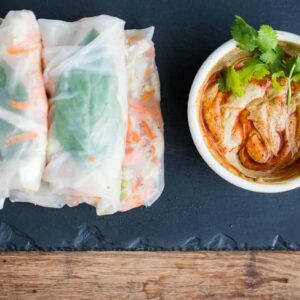 Then I paired it with a green salad and the Thai Peanut (almond) Sauce from the Thai Chicken Lettuce Wraps post. Definitely one of the best paleo meals we’ve had in a long time! By the way, do you follow Perry’s Plate on Instagram? If not, do! 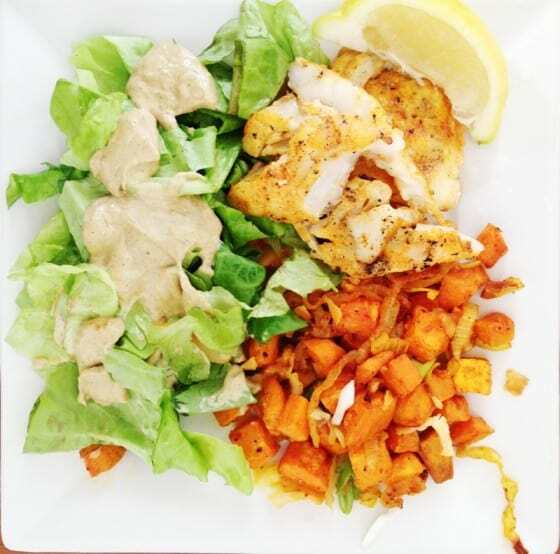 I try to post all of our paleo dinners to give you some ideas. And other stuff, too. If you can find fenugreek, please use it! If your grocery store doesn’t carry it, try a natural/fancy-pants grocery store like Whole Foods. Or an ethnic grocery store if you happen to have on nearby. 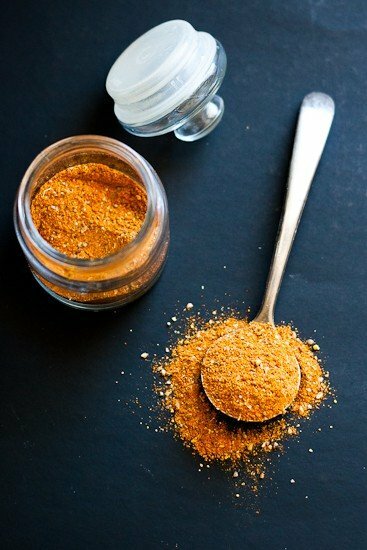 If you like to make your own spice blends, here are a few more I’ve got on the site! 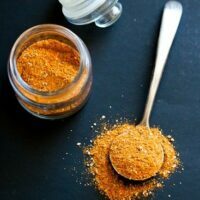 Freshly Ground Curry Powder – I can’t bring myself to buy regular curry powder after making this. There’s just no comparison. 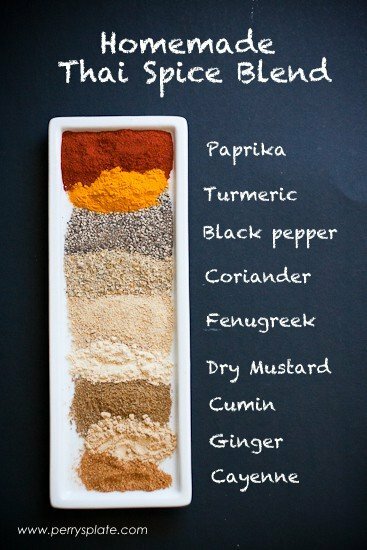 Middle Eastern Spice Blend – SO GOOD in a chicken/vegetable marinade and made into skewers. 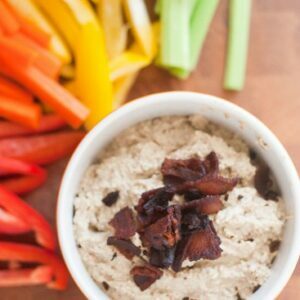 Dry Buttermilk Ranch Dressing Mix – I omit the dried buttermilk powder these days to make it paleo. It also makes it more concentrated. If you can absolutely help it -- don't leave out the fenugreek. 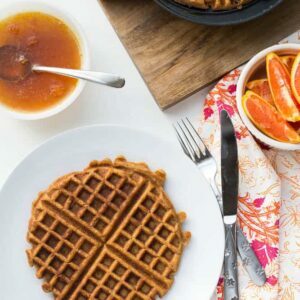 It might be tricky to find, but it has a sweet, maple-like taste and gives this spice blend its exoticness. Note: I use 1/8 teaspoon of cayenne because I have small children who freak out over spicy food. Use more if you'd like it spicier! Wow, I had no idea you did this. How totally impressive! Totally!!! I had to repeat myself. How totally wonderful. I guess I am going to be doing a lot of pinning here in the next few minutes! Fenugreek has a sort of maple-y smell and flavor, although I don’t think it sweetens anything. It definitely has a distinct flavor. Have you or anyone made a dry mix for Thai Green Curry? I’m desperate to find a recipe for this?? Where did you get the spice jars?